When my late husband, Chris Klicka was in high school, he wanted God’s wisdom for how he should live and make decisions. He searched the Scriptures and came up with a list of ten questions he would ask himself when having to choose which way to go. He knew God’s Word was the ultimate authority for life and godliness, so each of these questions is accompanied by several foundational and insightful passages of Scripture. 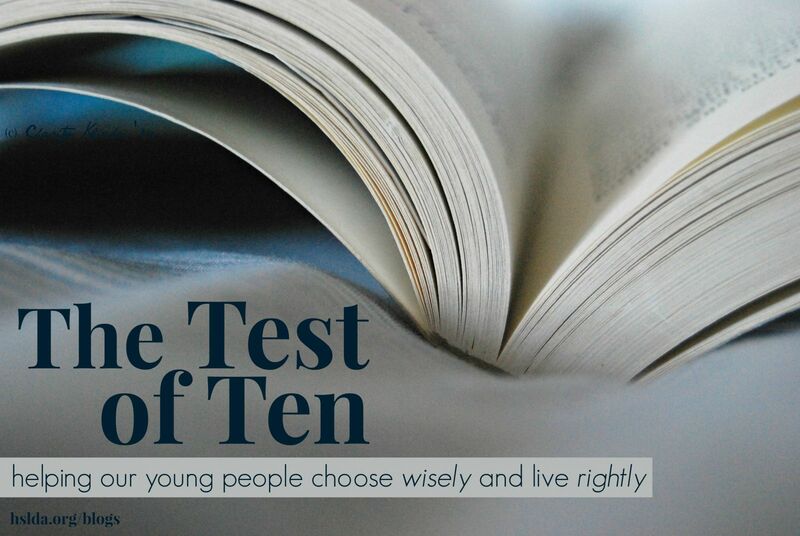 In his teens, then, and for the rest of his life this list of questions, which I’ve called the Test of Ten, served to guide Chris in countless decisions he had to make; furthermore, it helped shaped who he was: a strong, faithful and incredibly useful man of God who brought glory to His Savior. Parents, I hope you find this list helpful as you contemplate these questions, searching the Scriptures for God’s heart and His priorities for wise choices and godly living. Then consider sharing this list with your young adult children. It has been a blessing to my family! 1. Does it violate any part of the Scripture? “But examine everything carefully; hold fast to that which is good; abstain from every form of evil.” (I Thessalonians 5:21-22) “But each one must examine his own work.” (Galatians 6:4) See also 2 Timothy 3:15-16, I Peter 1:24-25, and Colossians 3:16. 3. Can I ask God’s blessing on it? “You belong to Christ; and Christ belongs to God.” (I Corinthians 3:23) We must do all to the glory of God! See I Corinthians 10:31-33, Colossians 3:17, 23, and Ecclesiastes 12:13. 4. Is it a stumbling block to someone else? Will your action lead a weaker Christian astray? If so, you are sinning against Christ Himself! (Romans 14:17-21). See also I Corinthians 10:24-33. 5. Does it harm my physically? Your bodies are the Lord’s too! Keep them from filth and injury, for they are the temple of God. (I Corinthians 6:19) See also I Corinthians 3:16-17 and I Thessalonians 4:4. 7. Does it advance the cause of Christ? “Act as free men, and do not use your freedom as a covering for evil, but use it as bondslaves of God.” (I Peter 2:16) See also Colossians 1:10, I Corinthians 15:33, and Matthew 10:38. 8. Does it give opportunity for the flesh? “For you were called to freedom, brethren; only do no turn your freedom into an opportunity for the flesh, but through love serve one another.” (Galatians 5:13) See also Matthew 16:24 and I Corinthians 3:2-4. 9. Will this help me share the glory of the gospel with others? “Give no offense either to Jews or to Greeks or to the church of God; just as I also please all men in all things, not seeking my own profit, but the profit of the many, that they may be saved.” See also Matthew 5:16, I Corinthians 9:19-23, and I Peter 2:12. 10. Finally, do I use the freedom to love and serve others? “Be devoted to one another in love. Honor one another above yourselves.” (Romans 12:10) See also Galatians 5:13-14 and Hebrews 10:24.